IT'S Africa Day! And what better way to celebrate than by sharing our love for the Motherland? We're sharing what twenty African American expats said their favorite things are about living on the African continent. Their responses are absolutely everything—so, if you didn't already love Africa enough, here's even more reason to! Paula Brown (pictured right) chose to relocate to Francistown, Botswana after a visit to the capital city. Read our full interview with Paula about life and starting a business in Botswana, here. 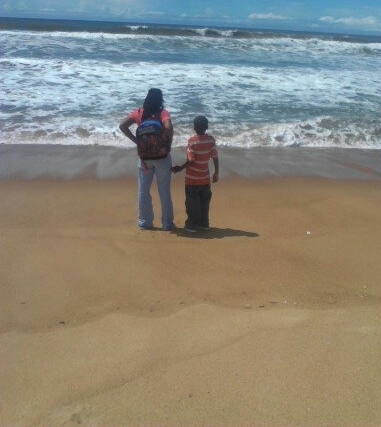 African American In Africa Editor In Chief, Kaylan Reid Shipanga, pictured above with her son. She moved to Namibia as a volunteer teacher in 2010. I love how living in Namibia pushes me outside of my comfort zone on a daily basis. While this can feel uncomfortable, I’ve realized it’s a healthy and humbling process. I also love how by default, living in Namibia puts me adjacent to so much African culture! I’m around Zimbabweans, Angolans, Zambians, South Africans, Congolese, etc. From the music to the food and news, I’m really immersed in all-things Africa. Watch our Editor-in-Chief's life abroad in Namibia on her Youtube channel here. Jessica Kotu, an African American who moved to Johannesburg with her South African husband. I loved the fact that being black did not hurt me. I didn’t have to apologize about being melanated. It was always motivating to see black people owning businesses, houses, and land. Read our full interview with Jessica about her time living in South Africa here. Dewey (pictured with hand raised) and his wife to the left with their wedding guests. Read our full interview with Dewey on his love for life in Democratic Republic of Congo, here. Adiya and her daughter with the Congo River behind. I really love the Congo River. At one point, Kinshasa was known as Kin la Belle (now people jokingly call it Kin la Poubelle…which means “trash can”) and there are these spaces that have survived the instability in the country for years. There’s a hotel along the Congo River that I love to visit. It looks like they built the pool and restaurant area and then started to build the skeleton of the hotel and then just stopped. I don’t know how old it is but it looks like something that was built in the 70’s. When you walk in there’s a pool and then there’s a huge lion’s head with peeling paint. Read our full interview with Adiya on living in DRC with her daughter and teaching at an international school in Kinshasa here. Lauren (left) and her mother who was visiting her in Rwanda at the time. Read our full interview with Lauren on her work in Rwanda as a journalist here. 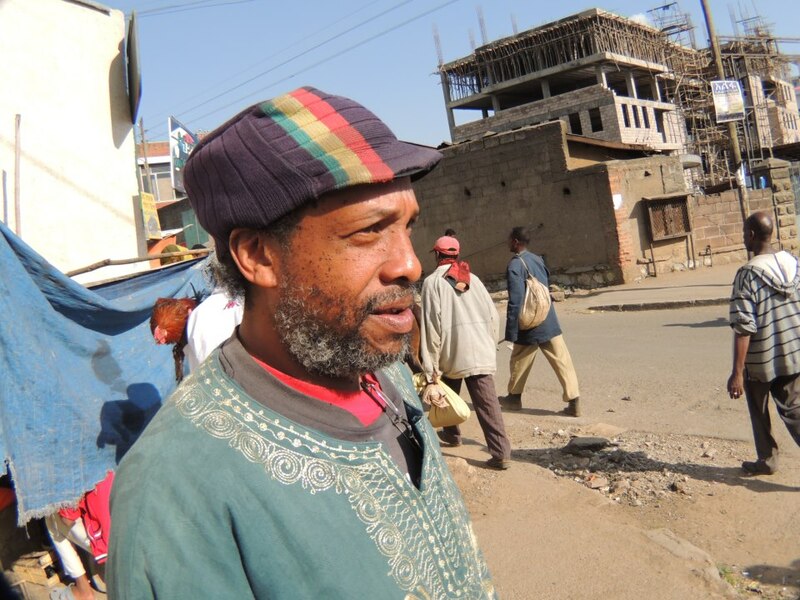 Timothy Green, a Rastafarian poet, teacher, and expat of over ten years in Addis Ababa, Ethiopia. Read + listen to our full interview with Timothy on his ten years living in Addis Ababa, Ethiopia here. Kristen Woodruff catching a ride through Kampala on a local boda boda (motorcyle taxi). Read our full interview with Kristen about living abroad with her son in Uganda and teaching at a Kampala school, here. 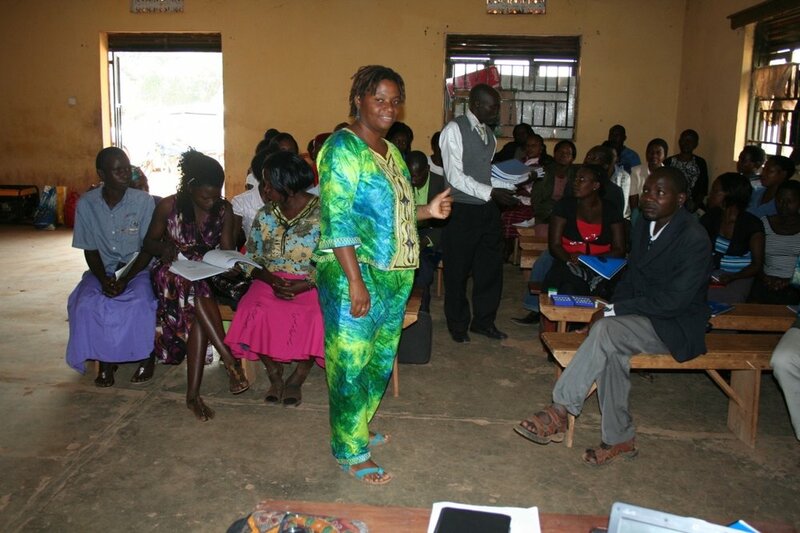 Michelle pictured center moved to Tanzania as a homeopathic teacher and mentor. The weather—it’s hot! At least most of the time (LOL). I know this is probably an unexpected response, but I suffer from a connective tissue disorder which means my joints are constantly inflamed. I’ve used homeopathy for years so I’m generally relatively pain-free. However, living in the mountains of Connecticut where the winters could be brutal even for people in the best of health, I used to feel the cold in my joints a lot. Here I don’t have that issue. I also visit the U.S. in May, when the weather is warming up there but starting to get cold in Moshi. Yes, there is a kind of winter in Moshi too where it’s cool enough that people are wearing jackets! Read our full interview with Michelle on her life and travels around Africa teaching homeopathy here. Jamal Bradley (pictured above) first moved to Kenya as a Peace Corps volunteer and eventually moved there permanently. There are a lot of things I love about Kenya. The people are very friendly and down to earth. They are very open and you genuinely make good friends here. I remember when I first came here in 2000 and I used to frequent one small store to purchase juice. I would have a small conversation with an older lady who was the owner of the store, and one day I didn’t have any change, so she said to me “don’t worry about it, you’re my friend.” Coming from the States and more specifically Philly, you almost never become friends with someone after knowing them for only a few months. However, in Kenya it was different. We had actually become friends and it was just a normal thing that if two nice people meet, and they speak to one another, they are friends. Read our full interview with Jamal about his life as a father, husband, and entrepreneur in Mombasa, Kenya, here. Pamela Mohamed and her husband pictured above. The quality of life is better here, especially for a family, and I’m able to spend more time with the kids. Having an extra pair of hands (nanny/cook) to assist with cleaning, cooking, and transporting helps tremendously. I love the weather. Ninety-nine percent of the time it’s perfect—not too hot and not too cold. I love that my family is eating organic fresh foods and as well as healthier less processed food. Importantly, I feel more comfortable being a practicing Muslim. Our children are able to learn even more about our religion. I enjoy spending the Ramadan month of fasting even more than just the date because there’s much more of a community here, even among the non-Muslims. I was surprised how many Eid greetings I would receive from friends who are not Muslims. Our children attend a British curriculum private school where they are taught multiple languages: French, Kiswahili, and Arabic, which I think is wonderful. Read our full interview with Pamela on her experiences as a mother, entrepreneur, and nurse living in Kenya here. After serving in the Peace Corps, Tamara Thompson spent several years living and working in Bamako, Mali. Click here to read our full interview with Tamara on her years spent living in Mali. Queen Sheba, a published author and the founder of a nonprofit operating in Dakar, Senegal. Many parts of Senegalese culture are connected to and remind me of my own upbringing. My American roots are in Alabama and Louisiana. Many Senegalese arrived in the States from Senegal’s Gorée Island during the slave trade. You can still see the remnants of their presence in the American South. Read our full interview with Queen Sheba on everyday life and nonprofit work in Dakar, here. Teri (pictured left) and her family moved to Monrovia, Liberia for volunteer work. I loved being amongst my people without dealing with racial undertones. We didn’t have to deal with being treated differently based on the color of our skin because everyone around us had visible melanin in their skin. It was like being home. Read our full interview with Teri on her year living in Liberia here. 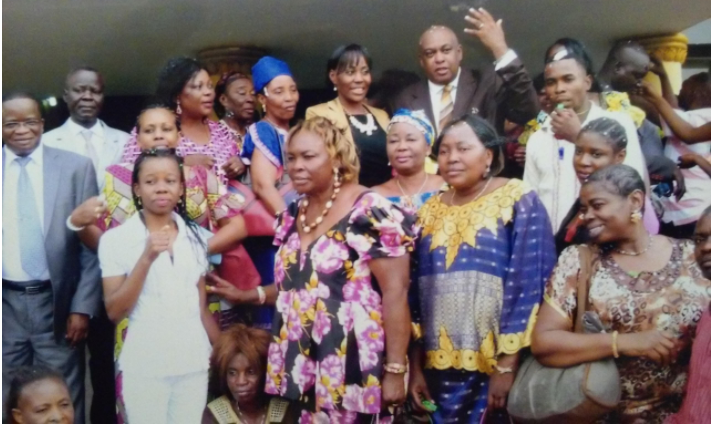 Christopher Johnson pictured at a Worker's Day event in Nigeria. Read our full interview with Christopher on his experiences living and working in Abuja, Nigeria, here. Tecie (center) spending time with her Nigerien colleagues. Read our full interview with Tecie herE and learn more about her time living in Niger as a teacher. Yvette at her traditional wedding ceremony in her husband's Cameroonian village. Read our full interview with Yvette for more on her experience living in Lomé, the historic capital city of Togo, here. After realizing the Peace Corps application process wasn't for her, Waameeka took her living abroad plans into her own hands, found a job online and moved to Senegal. Read our full interview with Waameeka for more on her decision to relocate to Dakar, Senegal, here. The U.S. recession sent Jocelyn (center) packing and she moved to Nigeria to continue her entrepreneurial dreams. Read our full interview with Jocelyn her for more about her entreprenurial sucess in Nigeria. Maya Atta spent her teenage years living in Monrovia, Liberia. She is pictured here in Liberia in a school year book photo. Read more about Maya's experience of living in Liberia before and during a military coup, here. Are you an African diasporan living who's fallen in love with life in Africa? Are you someone with an overall love for the Motherland? Share what you love most about all-things Africa in the comments below! Happy Africa Day!